Fiberglass pool gunite pool vinyl liner pool are the type of in ground pools we install . 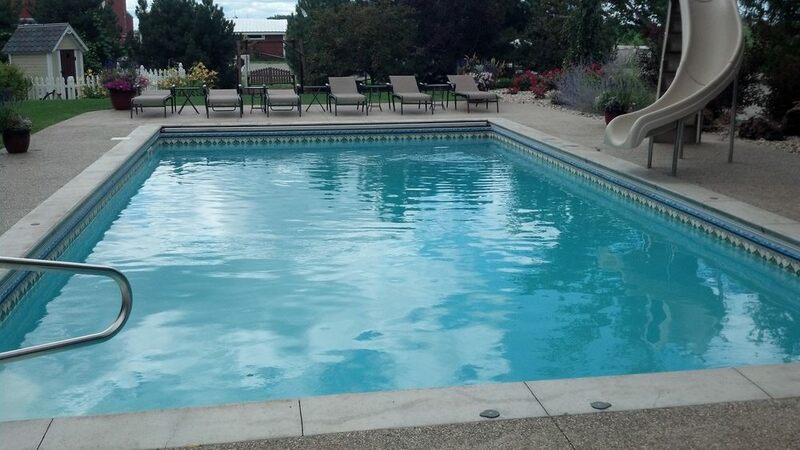 fiberglass pools have many shapes and sizes and colors there are many affordable quality made pools availableHow much does a in ground pool costs depends on the options you choose. Visit our financing partner and get your project started. 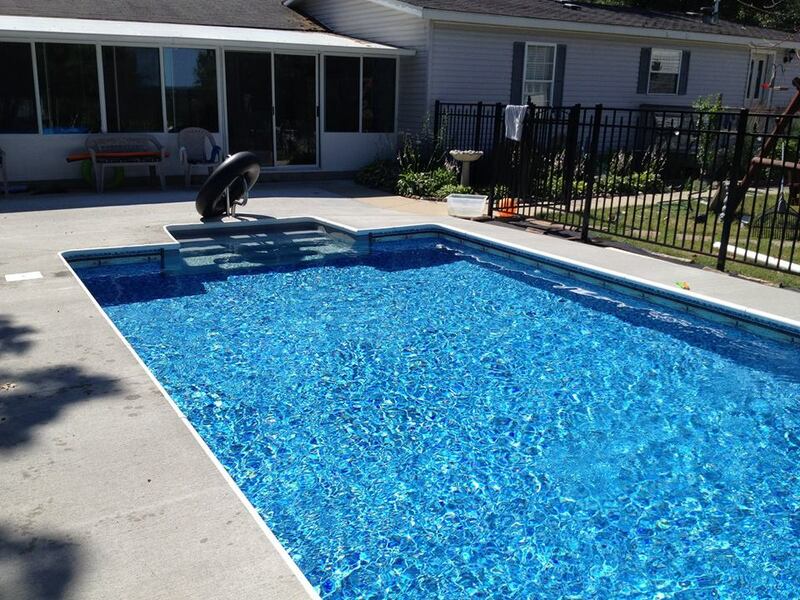 At Blue Water Spas & Pools we install and service various types of in ground pools. Which option is right for you? We can help advise you in your decision of the perfect pool for your needs. In ground pools help to create the perfect backyard oasis for family fun for years to come. Installing an in ground pool on your property will not only enhance it's look and feel, it will also increase it's value! Below is a short description of the main types of in ground pools available. Contact us today to learn more. 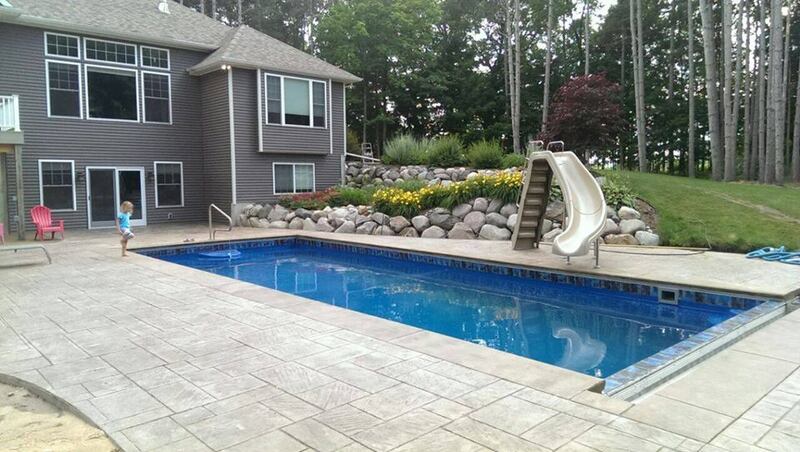 Vinyl in ground pools can typically be installed and ready to use within about a weeks time. A vinyl liner is supported by wall panels that are typically made from galvanized steel, or a composite material. Although there are not as many size or shape options as concrete pools, vinyl in ground pools offer many options for patterns and colors. Gunite pools use a rebar framework that is sprayed over with a concrete and sand mixture. The method is preferable over a traditional poured concrete pool that requires a wooden framework to hold the shape of the basin. Gunite is exceedingly durable, so swimming pools made of this substance are built to last. Not only are they extremely durable, Gunite in ground pools are also nearly limitless in options and customization.